Until recent catastrophic events, little attention was paid to the landscape and ecology of the American Gulf Coast. Acclaimed photographer Richard Sexton's evocative black-and-white images capture this often-overlooked terrain—throwing into haunting relief the marshes, forests, and bayous from the Mississippi River to the Florida Panhandle. Sexton focuses on the intersection between human culture and natural phenomena, creating a body of work attuned to the passage of time, loss, and renewal. Essays by museum directors J. Richard Gruber and John Lawrence place the images in the context of southern photography, while horticulturist Randy Harelson illuminates the environmental challenges unique to the region. 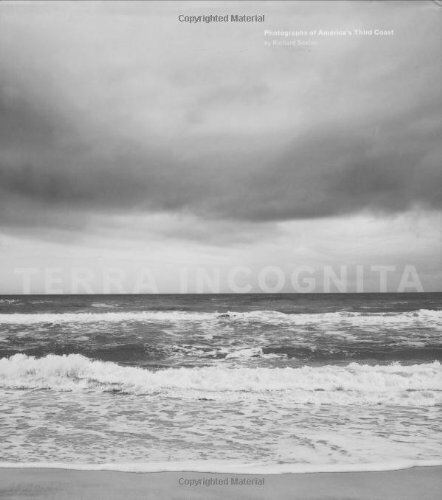 Terra Incognita is the first book to so strikingly illustrate the vulnerability, resilience, and splendor of America's third coast. Hand-numbered in an edition of two hundred, in a custom clamshell case with an original signed and numbered quadtone pigment print on Somerset Photo Enhanced Velvet, 100% rag substrate.